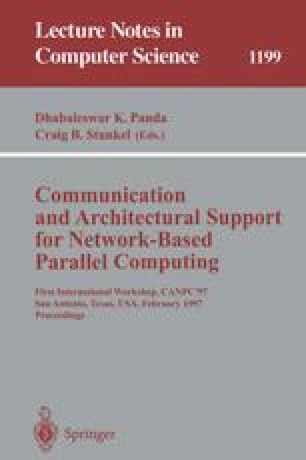 In this paper, we describe the design and implementation of a data-movement and control substrate (DMCS) for network-based, homogeneous communication within a single multiprocessor. DMCS is an implementation of an API for communication and computation that has been proposed by the PORTS consortium. One of the goals of this consortium is to define an API that can support heterogeneous computing without undue performance penalties for homogeneous computing. Preliminary results in our implementation suggest that this is quite feasible. The DMCS implementation seeks to minimize the assumptions made about the homogeneous nature of its target architecture. Finally, we present some extensions to the API for PORTS that will improve the performance of sparse, adaptive and irregular type of numeric computations. This work supported by the Cornell Theory Center which receives major funding from the National Science Foundation, IBM corporation, New York State and members of the its Corporate Research Institute.